Today is National Kahlua Day so I thought it would be a good time to mix up a batch. I did this fairly quickly so the pictures aren't the greatest but it is really easy to make. 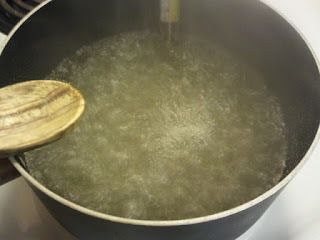 Boil water and sugar to 225F or for 3 minutes at a rolling boil. Remove from heat and stir in instant coffee. Continue stirring until coffee is dissolved. This could take several minutes. 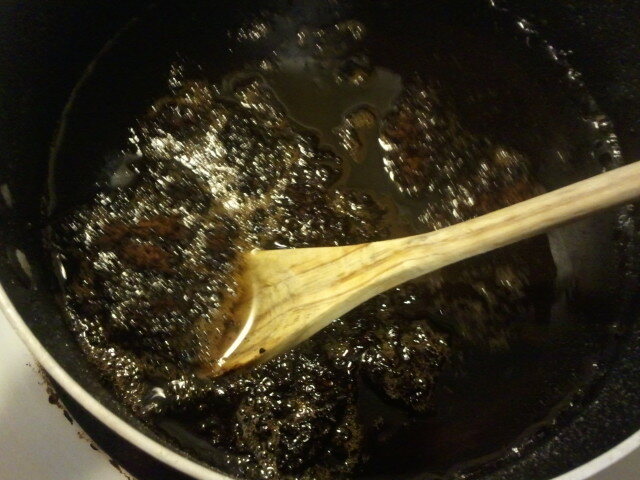 Add vanilla and rum extract. Let mixture cool for about a half hour. It should be lukewarm but not hot. Pour into bottles. 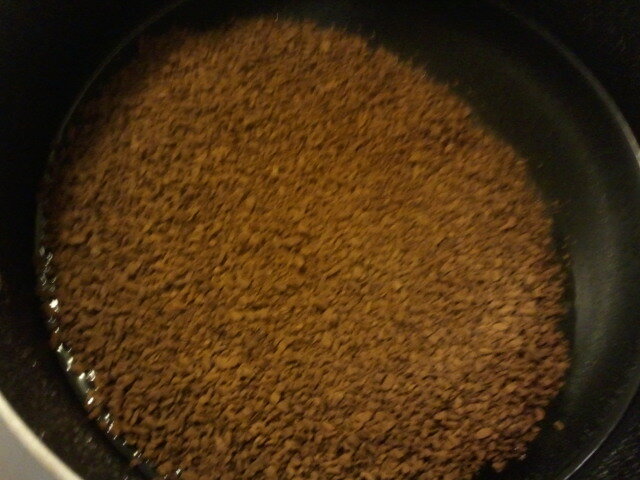 (If all the coffee didn't dissolve pour through a strainer if desired.) This recipe makes 5 cups. 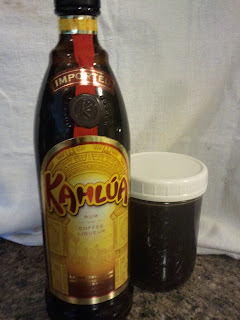 I had enough to refill my Kahlua bottle and a pint jar. That's it. You now have Kahlua. I don't remember how many years ago that this recipe was shared with me, close to ten years I think, but when my friend told me about it I knew I had to try it. She explained it was HEAVY. Not just dense heavy but everything about this cake is heavy. Although it has some healthy ingredients in it, I don't imagine with the amounts of oil, sugar and eggs in the treasure that it would be a food for anyone's diet. How good is this cake? This is what my husband told me, "You need to make one every Sunday to make Mondays better." Now can a cake really get much better than that? 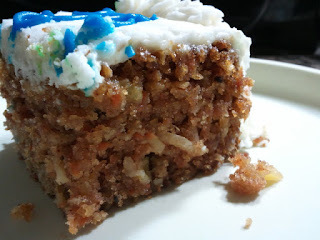 I used my food processor to make super fast work of shredding the carrots. Mix sugar, flour, cinnamon, soda, salt, coconut and carrots in a large bowl. In a large measuring cup add the water, oil, eggs, pineapple and vanilla. 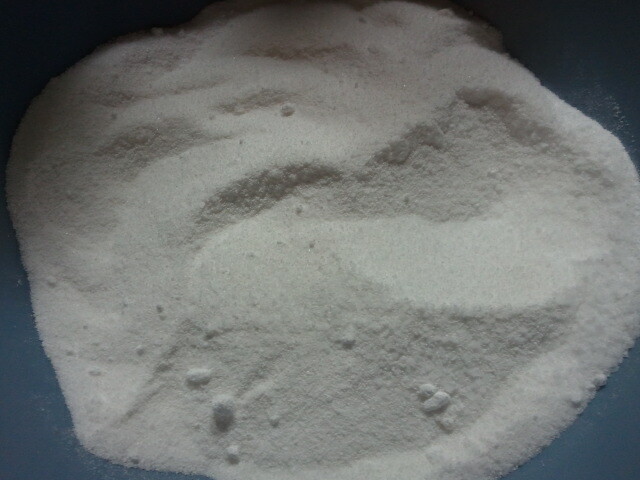 Add all at once to flour mixture. Pour into greased 9x13 pan. I measured the amount which was 8 cups then divided it between two pans. Bake at 350F for 35-45 minutes. Cream cheese frosting is not the easiest to decorate with. I didn't take any pictures of making the frosting. But it's really easy to make and hard to mess up. If it's too thick, add more milk. Too thin add more powdered sugar. I made this recipe pretty thick so I could use it to decorate. Cream butter and cream cheese together. Add vanilla and powdered sugar. Beat in adding milk as needed to thin. I am not a great bread baker. I have a couple recipes that I go to and can make easily enough with no problem. I am quite envious of the real bread makers that get perfect looking loaves each time they bake. So when my husband asked me to get rye sub rolls for his Reuben's and I could not find any such thing in the store I was a little worried I couldn't make them at home. I searched the internet for a recipe for light sub rolls. I couldn't find any! Apparently this isn't a very popular idea. No big deal, a roll is simply a loaf of bread that is shaped differently. I searched two towns to find the rye flour and made a special trip to buy it. Then I looked at recipes. 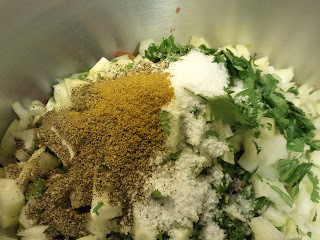 They all called for caraway seed which I had none of and did not want to go back to the store. (I'm lazy like that.) I took several recipes and combined them and made my own instructions, without caraway. I am not great at shaping bread but did the best I could and they turned out looking somewhat like a roll. I cannot tell you how they taste or what the texture was like because I don't like rye bread. The two that ate Reuben's last night said the bread was perfect. It did feel like it had a nice texture so I will take their word for it. In a small bowl dissolve yeast in the warm water with 1 teaspoon of sugar. Set aside. In a large mixing bowl place the butter, sugar and molasses. Add the boiling water; stir until butter is melted. Add rye flour. Beat with an electric mixer on low speed until combined, then on medium speed until smooth. Gradually beat in yeast mixture until combined. Using a heavy spoon, stir in 2 cups all-purpose flour. Add in dough enhancer and salt. Mix in another cup of all purpose flour to make a dough that can be kneaded. Turn the dough out onto a lightly floured surface. Knead in enough of the remaining all-purpose flour to make a moderately stiff dough that is smooth and elastic (10 minutes-set your timer). I used a total of 5 cups all purpose flour by the time I finished kneading. You might use more or less. Shape dough into a ball. 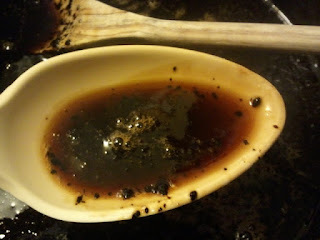 Place in a greased bowl, turning once to grease surface of the dough. Cover; let rise in a warm place until double in size (1-1/4 to 1-1/2 hours). Punch dough down. Turn dough out onto a lightly floured surface. Divide dough in 12 pieces. If you are crazy like me you can measure each piece for uniformity. Mine weighed 150 grams each. Shape into rolls by rolling and folding ends under. The dough should not need any floured surface to roll it out on. Place on greased baking sheet sprinkled with corn meal. Cover and let rise in a warm place until nearly double (40 to 50 minutes). Bake in a 350 degree F oven for 20 minutes or until nicely browned. 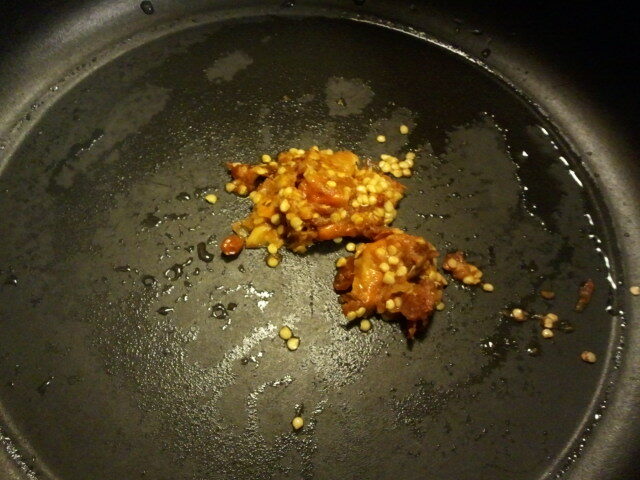 Remove from pans. Brush tops of warm loaves with a melted butter. Cool on wire rack. Makes 12 rolls. Getting ready to be a reuben. Coming soon: How to make these into a Reuben and Carrot Cake that's out of this world. I'm always looking for ways to save money. Dishwasher detergent isn't a huge deal for me since I only have one load a day. I spend about $8 every two months on the little tablets that drop in. When my mom sent me the recipe for homemade I quickly scanned it and realized I had everything on hand so I had to give it a try. Being the skeptic that I am I only made a small amount until I could test it to see if it works. I didn't have many dishes that needed to be washed so I grabbed my stainless steel dish drainer that was extremely past due for a good cleaning and proceeded to clean out any leftovers in the fridge. I figured if the mix would clean my dish drainer it could clean my everyday dirty dishes. I added 1 tablespoon to the cup and turned the dishwasher on water saver. I was so curious to see if it worked that I didn't wait until the dry cycle ended. I wish I had taken before and after pictures of my dish drainer so you could see the difference. It worked. All the yuck was gone from the drainer. Okay, I'm impressed. The rest of the dishes were spotless and had no residue on them. There was also no scent which I like. Considering that this homemade version costs pennies to make I could probably have a 2 year supply for the cost of my regular two month supply of tablets. 15 drops essential oil -Optional- I don't like scented dishes so I skipped this. "20 Mule Team Borax can be used to deodorize pet odors, but it is NOT recommended to be added to litter boxes. As a reminder, we recommend you keep 20 Mule Team Borax out of reach of pets and children"
Washing soda and baking soda are NOT the same thing. 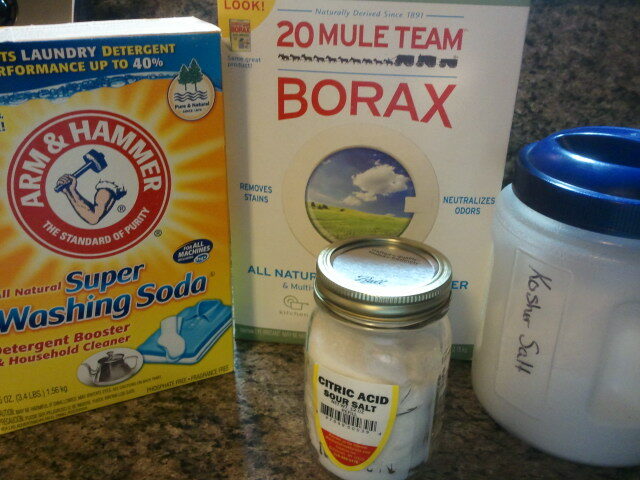 You can however make your own washing soda with baking soda. I will make a blog post soon about that. It's as simple as baking the baking soda. Washing soda can be found in the laundry aisle at stores like Walmart. (That's where I got mine but I do know my grocery store didn't have it.) It comes in a 55 ounce box for around $5. There will be plenty to make dishwasher detergent, floor cleaner or laundry detergent with. Kosher salt has much larger flakes than regular table salt and is iodine free. It can be found near the regular salt in the grocery store for around $3 a box. I believe it is a 3 pound box. $20 should cover all the supplies that you need to make a couple years or more of dishwasher detergent. 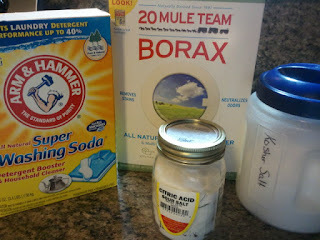 The borax and washing soda can be used for many other cleaning purposes so any extra won't go to waste. There are a few things you might want to know about this salsa. It smells and tastes amazing! You don't need to can it if you make it in smaller portions and keep it in the refrigerator. It can be eaten right away. 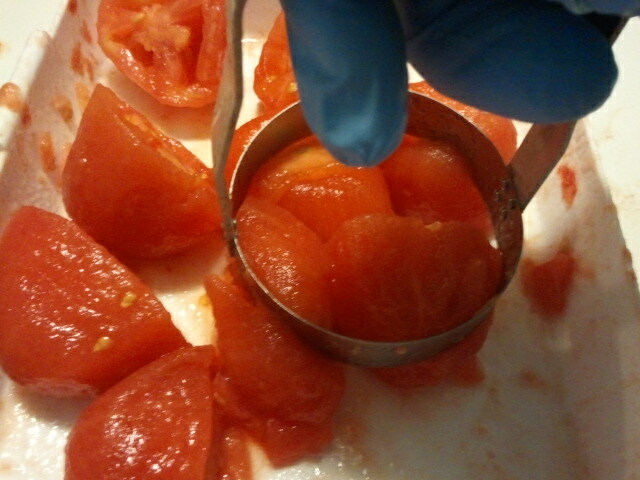 When you do can it, it ripens and gets hotter as the flavors blend. 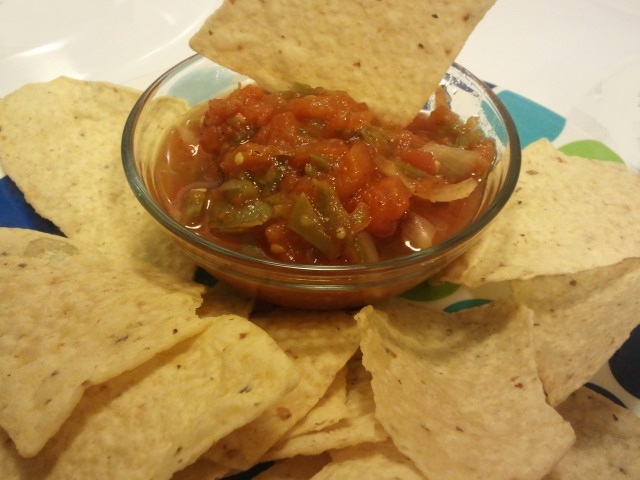 If you are wimpy like me I wouldn't recommend eating the ripened salsa. 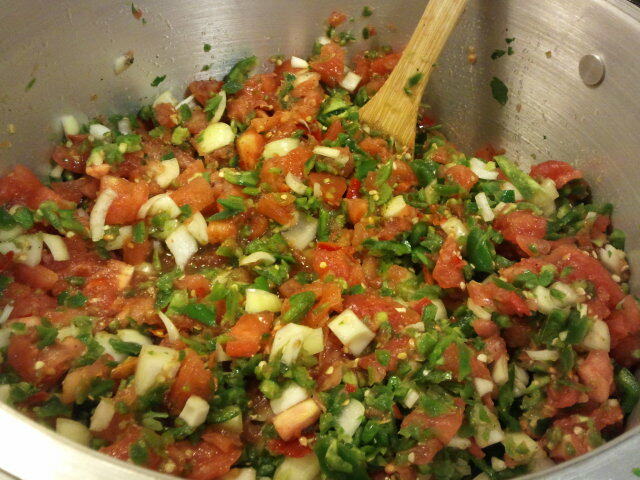 Even the fresh salsa is just over the top of what I can handle. To seasoned salsa eaters they would probably consider the fresh salsa a medium heat. 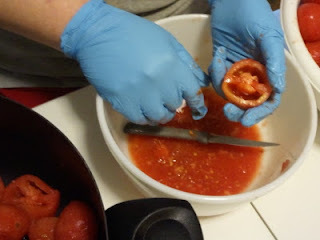 Wear gloves and do not even rub think about touching your face at any time while working with the peppers. 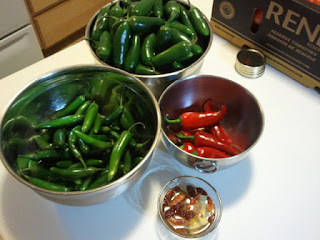 The first year I grew jalapenos, the year I realized I had a sensitivity to the capsaicin, I picked the peppers without gloves. My fingers started burning and I washed them for a long time with soap and water to no avail. A while later the tip of my nose itched so I simply rubbed it with the back of my hand. Huge mistake. HUGE! There is nothing to take the pain away except time. 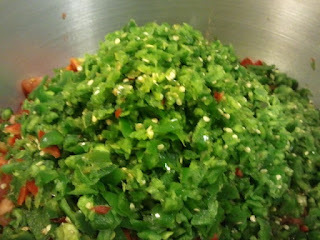 If you use a food processor to chop the peppers do not breath in the fumes when you remove the cover. It can burn your throat and eyes and give you a coughing fit for a good long while. Peppers are after all the ingredient in pepper spray. Of course you won't be (hopefully) working with that much of a concentrate but it is still enough to hurt if you are not careful. As far as the five types of peppers I use, unless you grow some of them in your own garden you might have to make 3 or 4 pepper salsa. Jalapeno and Serrano should be readily available. Cayenne you might find fresh but could use powdered instead. Purple Peruvian is going to be the hard one to find unless you grow it yourself. Also known as the fluorescent purple pepper, it is grown for many as an ornamental pepper but can be eaten and used in cooking to turn up the heat. Depending on what I have grown or what I find available I use several of the hottest peppers I can find. I have also used habanero. It's up to you which ones to use. The majority used will be jalapeno. 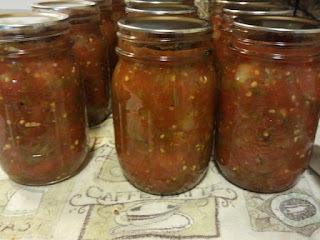 This recipe yields 6-8 pints of salsa. If you didn't want to can it you could cut it in half and keep in fridge. 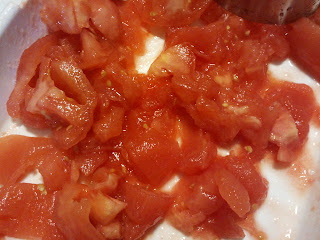 5 pounds firm ripe tomatoes, blanched and peeled, Roma's are best How to peel tomatoes. Deseed the tomato by cutting in half and scooping out as many seeds as you can. 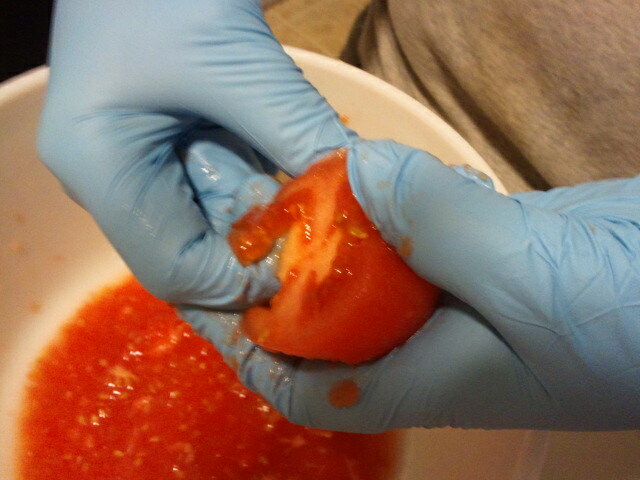 Gently squeeze some of the liquid from the tomato. Cut into 1/2 or so pieces. 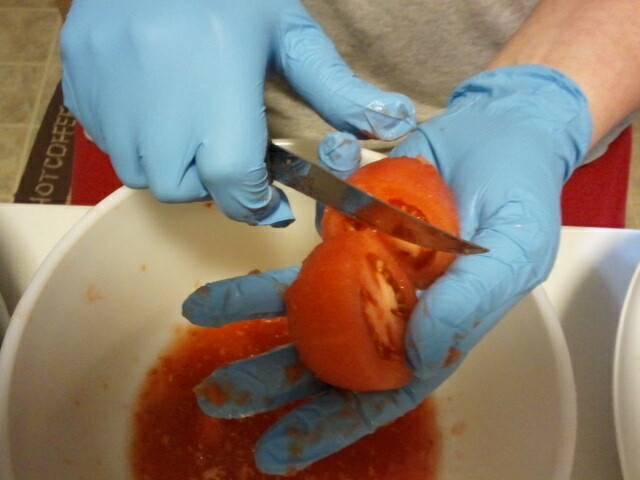 I used a kitchen chopper and worked with about 6 tomatoes at a time. Toss them in a large pot. The chopper I am using is extremely sharp and is stored in a box to prevent injury while not in use. Want one of your own? Check them out here. Rinse the peppers off. 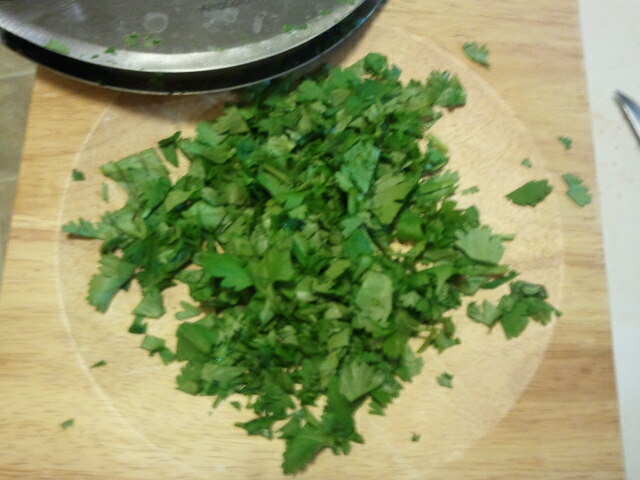 Cut off stems then finely chop. Either by hand or using a food processor. (Remember to not breath in the fumes when you take the lid off the processor.) I leave the seeds and white membrane in the peppers. That is where most of the heat comes from. 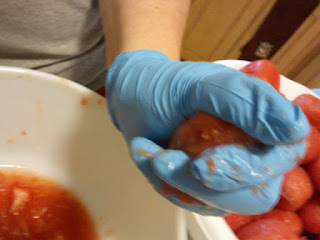 If you don't want it as hot remove the seeds and white membrane from the peppers. 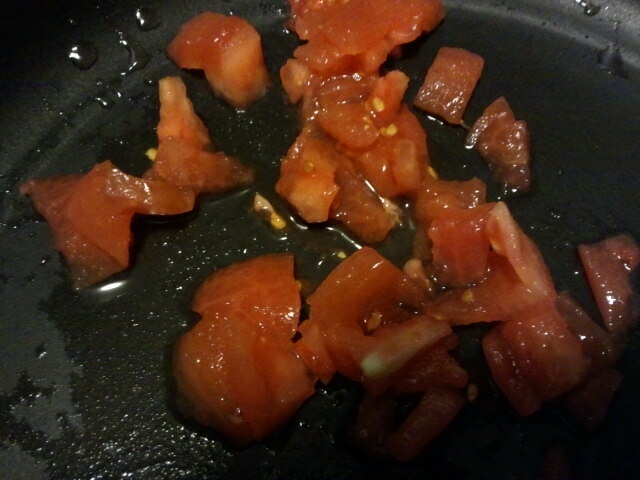 Toss on top of tomatoes. The peppers in the small bowl are dehydrated from last year and include cayenne and purple peruvian. These are the rehydrated peppers made into somewhat of a paste. Peel and dice the onion. Check out this video for the fastest way to dice an onion. I can't find it so I will make a video soon to show you. The only videos I am finding that are even close are all doing one extra unnecessary step. 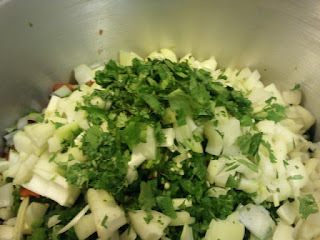 Add onions to pot. Chop up your cilantro. 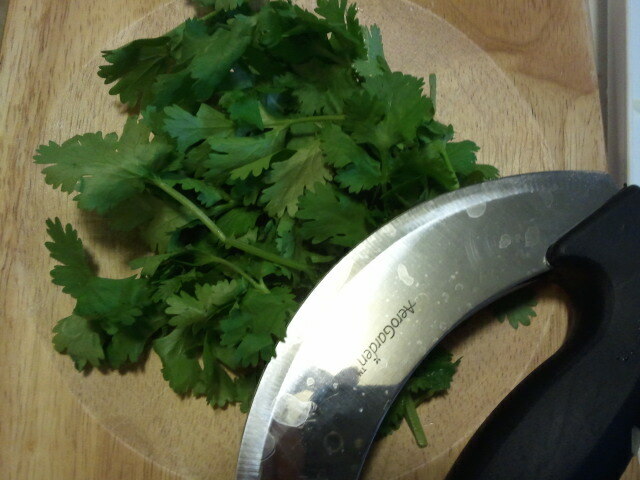 I love my mezzaluna and cutting board for fresh herbs. 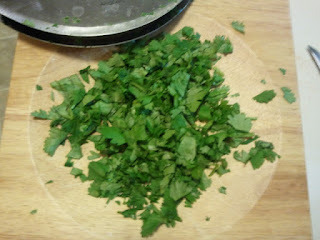 It makes fast work of chopping herbs and since I really dislike the smell of cilantro that is a good thing. Add to the pot. 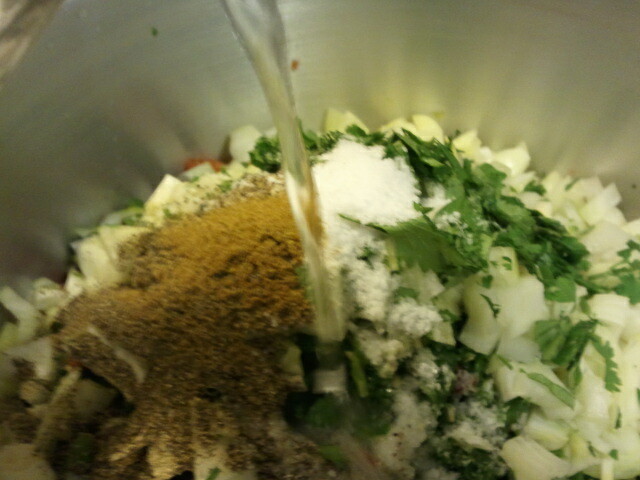 Now add the remaining ingredients. Salt, pepper, cumin, garlic, sugar, vinegar and tomato paste. Simply enjoy the aroma that is already coming from the mix and it hasn't even started cooking yet. Bring to a boil then reduce heat and simmer for 10 minutes. If you choose not to can the salsa you might want to cook for another 10-15 minutes. If you are canning you will want to fill your clean hot jars leaving 1/2 inch headspace. 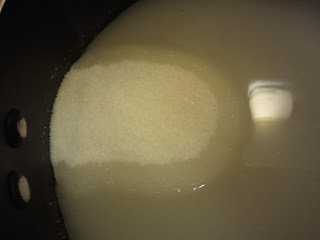 Process for 15 minutes in a boiling water bath.